If you are truly passionate about the automotive world and want all the latest information and gossip on your fingertips, it is important that you are following the top automotive blogs on the internet. A quick google search will provide you with a ton of car blogs but not all of them are updated on daily basis and have the latest information. So to help you out, we have done the research and come up with a list of top 50 automotive blogs which you can follow and subscribe to receive the best info and updates happening in the automobile world. Want to submit your blog? Check the bottom of the post. Need help with car maintenance or repair? YourMechanic is your ultimate go-to blog. It has a huge collection of car repair articles from trouble codes to diagnosis and even car parts replacement. If you have any question regarding your vehicle which is not running correctly, just ask away at YourMechanic. 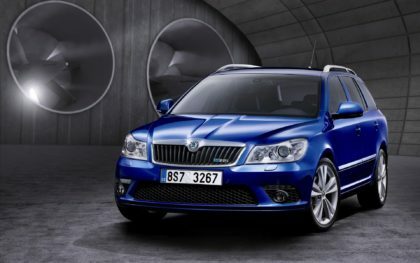 Motor Verso focuses on luxury vehicles, performance-oriented cars and also unique limited edition cars. The blog has a number of car reviews along with product, gadget and accessories reviews. Also, the blog regularly posts road drives to inspire you to go on your next road trip on a luxury car. The history of Motor Trend magazine goes back to 1949 when it was first published by the Petersen Publishing Company. The magazine covers everything related to the automotive world including industry news, reviews while the blog provides excellent information related to car buying guide classic cars, vintage cars and more. If you are planning to buy a new car, you should definitely visit the Motor Trend Buyer’s Guide. ReviewJam is a website that is focusing about product reviews for automotive tools and garden tools. The articles are well researched and you can rely that you will get the best alternatives to choose from. The site is newly founded in 2018 and keeps growing. With its headquarters in California, Edmunds also started as a Publication Company back in 1966. The Edmunds blog contains information related to car reviews, car pricing, dealer inventory list, car buying guide, vehicle comparison and car specifications. The goal of Edmunds is to provide all information necessary before buying a new or used vehicle. Car and Driver is another trusted name in the automotive world. The blog has a wealth of information ranging from car reviews, auto news, buying guide, road test, comparison articles and a lot more. If you are thinking of purchasing a new car, you should definitely refer to the Car and Driver blog. Anyone who is buying a new or used vehicle should definitely follow Kelly Blue Book. This blog has all the information related to vehicle pricing and dealerships. Moreover, KBB is known in the industry for reporting authentic market value of used cars and provides expert consumer reviews as well. For automotive enthusiasts interested in motorsports, racing videos, exclusive aftermarket products, exotic and tuned muscle vehicle and latest industry news, Car Talk is your hub. The blog is also linked to another website where you can hear interesting podcasts related to car buying/selling, driving tips and so much more. TopSpeed offers extensive automotive information and all topics and arranged into certain categories. You can search for topics related to a certain country, model, auto show and more. Whether you need car reviews, latest automotive rumors, road trips or industry news, TopSpeed has everything in its archive. Moreover, the blog has a dedicated section for automotive games. Who says women are not into cars? The Girls Auto Clinic Blog is dedicated to women who love automobiles. The blog has all sorts of information and guides to educate women about car buying, maintenance, DIYs and more. Moreover, the blog also has info about auto workshops and dealerships. Founded by Chris in 2005, the Car Bibles blog has a huge archive of informative automotive guides, car product reviews, car reviews, car parts and a lot more. The best part about Car Bibles is that the writer uses a friendly casual tone which makes it easy for newbies to understand and grasp important information. Autoblog is the leading American internet-based automotive blog owned by Oath Inc. It attracts over 9.2 million visitors on monthly basis and has a Facebook fan following of over 1,433,298 users. The blog posts about 84 posts per week which include automotive news, car reviews, vehicle shopping tools and more. Whether you are a market consumer, motoring enthusiast or an industry expert, the MotorAuthority blog has all the latest and reliable news and information related to the automotive world. The blog also posts articles about luxury vehicles, test drives, spy shots and updates about the latest auto shows. IHS Automotive blog covers a wide variety of automotive topics related to sales, marketing, strategies, production and the latest technology and updates. The blog has daily articles about the role of government and politics in the automotive industry. There is also features posts section for new car reveals and the latest news. Corvette Blogger is dedicated entirely to Corvette fans. It has all the information about the latest Corvette models, specifications, pricing, reviews and the new updates in the upcoming Corvette vehicles. If you own a Corvette or wish to buy one in the future, you should definitely follow this blog. Visit: Off the Throttle Off the Throttle is an excellent blog with tons of articles for both experienced motor enthusiasts as well as newbies. It is managed by a person named “Scott” who is a YouTuber, blogger, writer, journalist and of course a car lover whose content has been published on Yahoo, Business Insider and GT Spirit. The blog also has a YouTube page which is constantly updated with car reviews, humorous video and stories related to the automotive world. Autoextremist is managed by Peter M.DeLorenzo who has over 22 years of experience in automotive marketing and advertising. The blog provides in-depth analysis of the automotive industry and posts auto-related news, commentary and analysis of the automotive world. Paul Tan is dubbed as the “Malaysia’s #1 Source for Automotive News”. 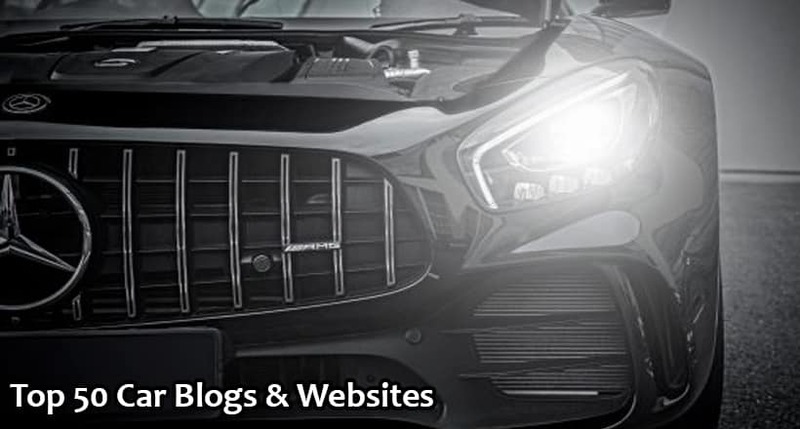 The blog has latest news and updates about Malaysia’s automotive industry and also articles related to car and bike tips, test drive reviews, truck reviews and more. My Auto Repair Advice is a highly informative blog for car repair tips. It has information from trained and professional mechanics who aim to teach people about fixing their car at home. You will find a lot of articles about troubleshooting problems and DIY content as well as what car repairs would cost. Left Lane News is one of the leading automotive blogs when it comes to industry news. The blog is known to be one of the first places where any news gets published. Other contents on Left Lane News include car reviews, shopping guides, tech info, pricing and vehicle specification. Good Car Bad Car specializes in tracking auto sales and has a dedicated section where users can check sales of vehicles by segments. Moreover, the blog also has information about the best-selling vehicles be it a sedan, SUV or compact car and all the info is specific to UK, USA and Canada market. Be Car Chic was started by Melanie Batenchuk in 2009 and her aim was to empower and educate women about the automotive industry. There is a section on the blog with profile of women drivers along with information about how they prefer driving their car. There are articles about industry news, car reviews and analysis of the automobile world as well. The Torque Report provides all information related to auto industry news, car debuts, auto shows, prototype spy shots, concept cars and also eco-cars. The blog is also daily updated with Green Reports and car reviews of every model. Do you love finding out how fast a certain car is? Then the “Zero to 60 Times” blog is for you. The blog has information about the 0 to 60 mph statistics of almost every car. Moreover, you will find other entertaining posts related to car reviews, comparison, top 10 articles and more. If you get attracted to images quickly then “Chris on Cars” is the blog you should follow. It has some of the best car photography along with intriguing posts related to test drives, reviews, product reviews and more. The blog also allows guest posting and has some Hollywood related articles as well. For those who love exotic cars, the Exotic Car list blog is the right place for you. Before buying an exotic vehicle, make sure you visit this blog as you would find plethora of info regarding every exotic car in the market including reviews, pricing comparison and much more. Popular Mechanics is well-known for sharing informative articles related to automotive industry, technology, science and aerospace. The blog is always up to date with the latest auto industry news, automotive culture and important info for consumers who are interested in the automotive world. While most automotive blogs focus on car reviews, buying guides and industry news, The Safe Driver is an informative blog which aims to educate the readers about driving on the road. The blog has a number of articles describing how to properly handle the car, parallel parking, using the side mirrors and more. Moreover, the blog also has driving quizzes, polls and Q&A section. Want to know which car Pink Floyd’s drummer Nick Mason drives? It’s a Blue LaFerrari. The Celebrity Cars Blogs has every bit of information about the car your favorite actor or singer drives. Visitors can easily select the celebrity they like and it’ll show all the cars he/she has owned and driven. There are other interesting sections as well such as “Top 5 Celebrities that drive pink”. The BMW Blog is the largest community of the BMW lovers. The blog has registered BMW fans from all over the world who love reading about BMW rumors, upcoming models, reviews, racing shows lifestyle and more. If you own or are planning to own a BMW in the future, make sure you are a part of the BMW Blog. For those who don’t prefer visiting auto shops to buy components for their car should follow Denlors Tools. This blog is doing business since 2005 and has everything to offer from air conditioning tools. Diagnostic tools, measurement tools, suspension system, power tools and more. Denlors Tools offers a number of discounts for frequent buyers as well. Started by John Halas, Car Scoops is an excellent source for auto news, updates and car reviews. The blog also share spy shots, info about new cars, future cars and even off-beat articles. If you are an automotive writer, you can even publish your own articles on the site. Green Car Congress provides daily updates related to eco-friendly cars, clean transportation technologies energy issues and also discusses the policy related to sustainable mobility. Their aim is to promote and educate visitors about the importance of emission-free transportation. Bang Shift focuses mainly on muscle cars and hot rods. It is operated by Brian Lohnes and Chad Reynolds since 2008 and has daily news, muscle car reviews, videos and updates regarding what’s new in the world of muscle cars. Master Tech Mark is managed by a certified auto specialist, Mark Gittleman who loves sharing his knowledge about cars on this blog. You will find a number of auto repair articles, DIYs, motorcycle repair manuals, tips and a lot more. If you wish to learn more about fixing your car, you should definitely follow Master Tech Mark. Steward Auto Repair Blog focuses on car repairs and troubleshooting. It is an excellent blog with highly informative articles and videos explaining how you can fix issues with your car. You will also find testimonials by visitors who have tried the techniques shared on the blog. The Ask Patty blog’s main goal was to teach women about buying and selling car parts, car maintenance, car repairs and safety issues. However, the blog quickly grew and is now used by a lot of people who seek genuine and trusted advice about auto dealers, car parts and services. The Car Connection is a leading automotive blog that has all the latest news and updates about the industry. They have exclusive car reviews, spy shots, auto show reviews and information about all the new cars entering the market. Dubbed as “Buzzfeed for Cars”, the Car Throttle blog was created by Adnan Ebrahim for young automotive enthusiasts like himself. The blog has a number of articles about latest updates in the automotive industry, videos, retro and classic cars, Formula 1 and motorsports. There is a large community of members as well categorized according to the vehicles. The Quattro World was started by Joshua Decker back in 2009 for Audi enthusiasts. Over here, you would find every detail about detail about Audi vehicles, Audi updates, events, auto shows and much more. If you love Audis, you should definitely add Quattro World to your bookmarks. Motor1 is ideal for new and used car buyers as well as auto enthusiasts. The blog has daily posts regarding auto industry news, car reviews, sports cars, supercars, sedans, exotic cars, auto shows and more. You can also check out their buying guides and access the blog in 9 different languages. Automotive Addicts was started back in 2004 by Malcolm Hogan and it features engaging news articles which along with car reviews, test drives, pricing information about cars, classified ads and more. Car Complaints uses authentic user submitted data to generate about troubles and issues with the cars. It is a completely free blog and visitors can view the issues reported on each car, solutions, and cost to fix the issues, mileage and more. You can also read stories and experience of different car owners. As the name suggests, Hybrid Cars blog provides the visitors with intensive knowledge of hybrid and electric cars. You will find a number of articles related to environment, hybrid engine and eco-friendly vehicles. When it comes to car repair, the Repair Pal blog is all you need. It features a large database of car repair guides including owner stories about fixing their cars. The blog even lets you find a nearest repair shop and obtain a price estimate for the repair. The Smoking Tire blog was started in 2009 by Matt Farah and Tom Morningstar. It features an exclusive weekly 90-minute podcast with guests from automotive industry, entertainment industry, Hollywood, engineers, racers and more, all sharing their driving experience. The blog also has an amazing YouTube channel with videos of supercars, sports cars, drifts and even hot rods. The MPGoMatic blog was started by Daniel Gray and it has all the information you would need regarding car mileage. You will find interesting articles about fuel-efficient cars, new car reviews and commentaries as well. Moreover, there is a dedicated section for “best gas mileage Car”, “Best gas mileage SUV”, “Best gas mileage Van” and more. The best part about MPGoMatic is the mileage calculator which allows you to compare the mileage of your car with others listed on the blog. For those who love classic and vintage cars, the Classic Car News is the right place for you. It is the largest community of classic car enthusiasts and you would find tons of articles auto market analysis, auction, future classic cars, commentaries, celebrity cars, cars shows and much more. The website was recently listed as one of the fastest growing private companies in America. Speed Hunters comprise of an international team of photographers, writers and drivers who share a common interest of automotive industry. You would find intriguing articles about car culture, stories, muscle cars, classic cars, concept cars and more. Moreover, the blog has an online store which sells exclusive gear, apparel, stickers and more similar accessories. The Kia World Blog is meant for Kia lovers who wish to share their experience and learn more about KIA vehicles. The blog features extensive information about upcoming Kia vehicles, Kia reviews, awards, Kia concept cars, rumors, spy shots and more. Additionally, you’ll find information about KIA dealerships and local auto stores across America. @Dean Thanks for your comment, appreciate it! Great Blog. Very well written in an easy-to-understand manner. I appreciate the sincere efforts you have made in writing the blog. Keep sharing! Thanks for sharing this great information. I appreciated your blog.